Bob Algozzine is a professor in the Department of Educational Leadership at the University of North Carolina and project codirector of the U.S. Department of Education-supported Behavior and Reading Improvement Center. 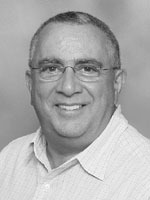 With 25 years of research experience and extensive firsthand knowledge of teaching students classified as seriously emotionally disturbed, Algozzine is a uniquely qualified staff developer, conference speaker, and teacher of behavior management and effective teaching courses. He is active in special education practice as a partner and collaborator with professionals in the Charlotte-Mecklenburg schools in North Carolina and as an editor of several journals focused on special education. Algozzine has written more than 250 manuscripts on special education topics, including many books and textbooks on how to manage emotional and social behavior problems.